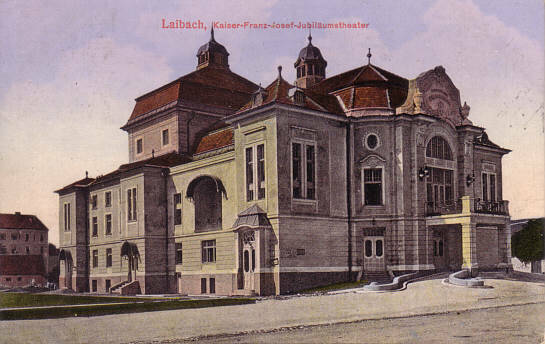 Built 1911 as "Kaiser-Franz-Josef-Jubiläumstheater". Originally used for performances in German. Later renamed "Slovensko narodno gledalisce - Drama" [Slovenian National Theatre - Drama]. Currently used for drama performances by the resident company.